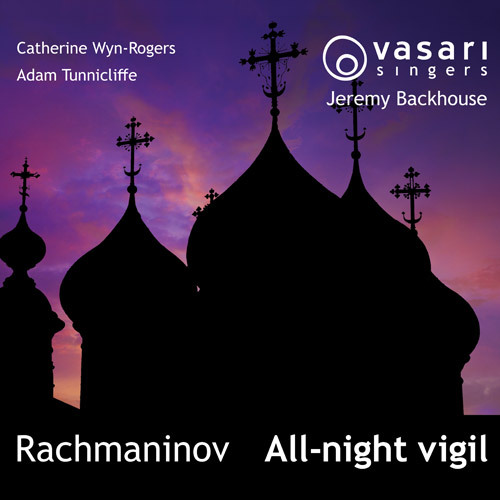 This recording of Rachmaninov’s beautiful All-Night Vigil is the third by non-Russian choirs to come my way in less than a year. It’s good to report that the latest, from the Vasari Singers under Jeremy Backhouse, is every bit as excellent as we have come to expect from that stable. As far as this non-Russian speaker can tell, their command of the language is exemplary if perhaps lacking the last ounce of Russian authenticity, and their bass section is well stocked with singers who can plumb the depths (bottom B flats are required). The Vasari Singers play to their strengths at every turn and are not fazed by Backhouse’s generally broad tempi. Of course, they don’t possess the rich sonority of an Orthodox Church choir but when they sing as well as this, it doesn’t really seem to matter. With fine soloists – Catherin Wyn-Rogers in superlative form – this is a recording to return to often. Financed by crowd-funding, it makes a splendid 60th birthday celebration for this choir’s founder-director, Jeremy Backhouse. David Bray’s excellent liner notes enhance the experience measurably.